Comments: Boxelders have weak wood and break easily in wind and ice storms. They also are attacked by boxelder bugs, which do little damage. This fast growing tree does have desirable greenish-gold leaves. Flowers of not much consequence. 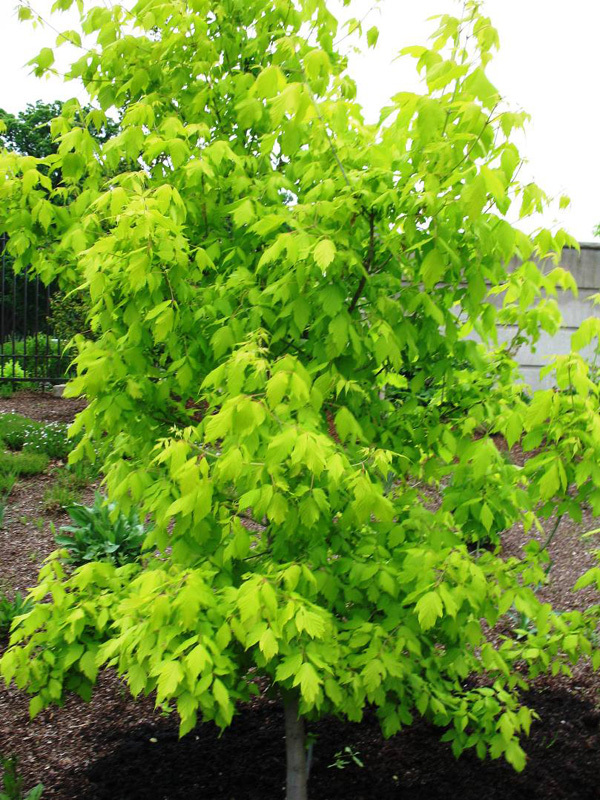 This maple reportedly will grow well in wet soil and will not color well in shade.